Mr. Robert Lacey to Viscount Lowther and his Trustee. Lease for Mrs. Mary Scotman and the Revd. Thos. Scotman and their trustees to Mr. Robert ? 1st November 1790 Marriage Settlement of Thomas Scotman Senr. .... so one of the oldest pubs in Newmarket - that's been here since before 1636, before the English Civil War - at a time when the King of England (James I / Charles I) used to stop-off for a quick pint (the evidence below seems to suggest that this is highly likely) .... has finally closed its doors for the last time. Philip Arber was born in Burwell in around 1790 (there were two Philip Arbers born in Burwell around that time, so it's not unknown as to which one he was). 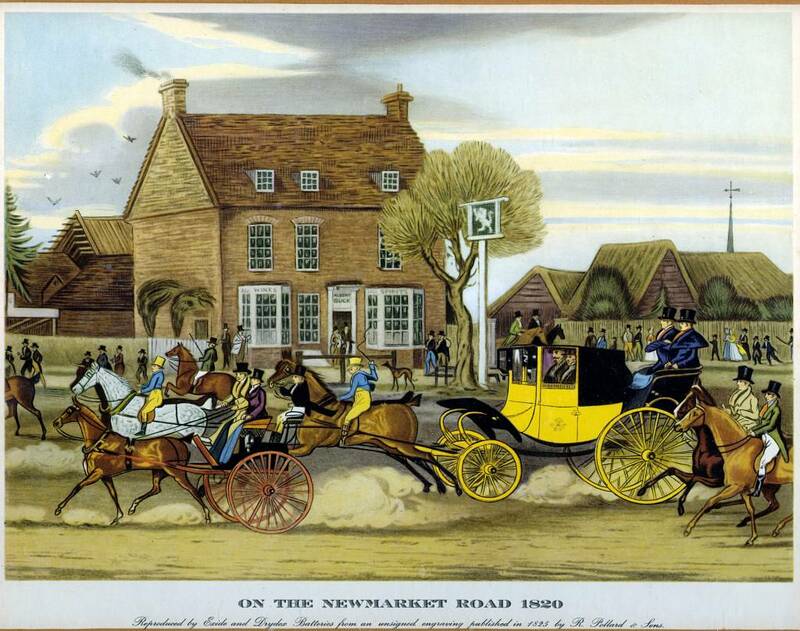 Philip married Elizabeth Sparke on 4th October 1821 in Newmarket St Mary's. In 1841 Philip is listed on the census in Newmarket High Street as a Stone mason and by 1861 he's on the census in the White Lion listed as an Innkeeper, along with Elizabeth, his son Thomas, his daughter Emily, his niece Sarah Anne Sparke, three staying guests and two servants. Philip died on 24th April 1863 leaving his estate to Elizabeth. Elizabeth 'Nelly' Arber continued running the pub until she died a few years later on 2nd March 1870. Situate at the West End of the Town, and close to the Race Course, late the Property of Mrs. ELIZABETH ARBER. deceased. - ALL that well-known and old-established brick and tile built, called THE WHITE LION, Newmarket, Suffolk. Containing 2 parlours, a modern and neatly constructed bar, kitchen, scullery, and larder, on the ground floor; very lofty and handsome dining-room, 30ft. by 18ft. 6in., capital front sitting-room, and 4 good bed-rooms, on the first floor; 2 secondary bed-rooms on the attic floor; and in the basement wine, liquor, and beer cellars. THE PREMISES In the rear comprise Range of Brick-and-tile-built Stabling for 33 Horses with Lads’ Sleeping Rooms, spacious Hay and Straw Lofts over. Carriage House and Covered Shed with Entrance through Folding Gates from the Street, inclosed Yard and Well with an abundant supply of pure Water. Also Piece or Parcel of productive GARDEN GROUND lying on the west side of the Inn, containing 25 Poles or thereabouts. This small part of the property is Leasehold for term of 50 years, granted by the late Duke of Rutland, from 6th April, 1832, at a yearly rental of £4 4s. 0d. For further particulars and conditions of sale apply to Mr. James Neal York, Solicitor, Newmarket; Ford and Lloyd, No. 4, Bloomsbury square, London, or the Auctioneer, Newmarket. The next landlord in the White Lion was John Lancaster, who was born in Woodditton in 1839. He's shown on the 1871 census as the Inn Keeper of the White Lion with his wife Ann (née Durrant). Previously John had been a servant at Longstowe Hall, near Bourn. He married Ann in Newmarket in 1864. By 1881 he'd moved down the road as was the Hotel Keeper at the Black Bear Inn. As listed in the Newmarket Journal, James Bartholomew had moved here in 1872 from his previous residence at The Crown Inn - No.26-28 High Street, where he was superceded by Annie Bloss. By 1881 he's shown on the census as the Inn Keeper at the White Lion Inn. WANTED once, a BARMAID, must have good character. - Address, Mr. Jas. Bartholomew, White Lion Hotel. 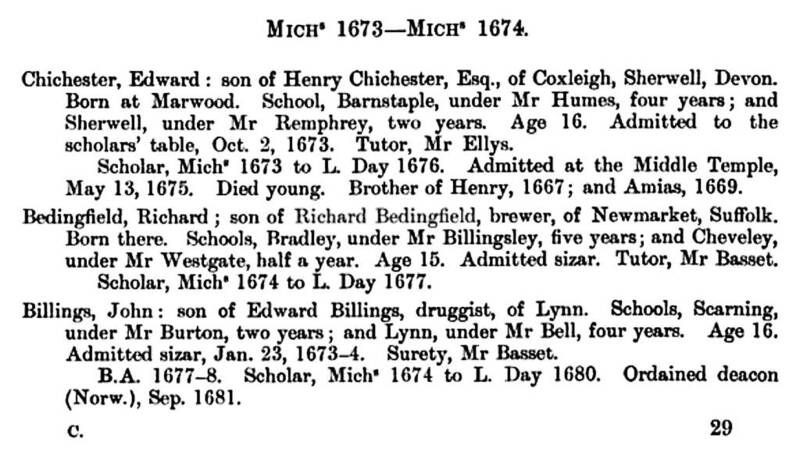 The son of William and Mary (née Moore), James 'Ben' Bartholomew was born on 29th March 1824 in Kentford. In 1875 James was also the head lad at the Palace House stables for Joseph Hayhoe. Needless to observe that no meeting at Newmarket would be considered perfect without the presence of a goodly number of undergraduates, mounted on all sorts and conditions of hacks, their favourite house of call in those days being the 'White Lion' at the top of the town, kept by Nelly Arber. On that lady retiring from business, the hostelry in question was acquired by Ben Bartholomew, the once celebrated jockey, and, according to all accounts, one of the very straightest that was ever hoisted into a saddle. One of the principal sufferers in the terrible accident at Goodwood, during the race for the Stakes, won by Pretty Boy, when half-a-dozen horses were all down at once, he had to retire perforce from his profession when in the zenith of his fame. His first experience as a boniface at Newmarket not being altogether a success, Ben moved into the 'White Lion' with, as it turned out, the happiest results. Having taken the house, the next thing was to stock it -- no such easy matter just then with its new proprietor. Mr. Harvey Combes' mandate therefore to his manager, when his old jockeys called by appointment one day at the brewery, to 'give Mr. Bartholomew credit for a thousand pounds,' came as a relief, you may depend. Never did a deal prove more beneficial to all concerned than the one just mentioned. Ben Bartholomew had been settled at the 'White Lion' but a very short time before it began to be bruited about that there was such a tap of brown stout to be obtained at his house as had not been tasted in Newmarket within the memory of man, with the result that before very long, so great was the demand for Ben's heavy wet, that Mr. Harvey Combes' 'thousand' was wiped off the books in less than half no time. Nor should this be a matter for wonderment, seeing that from time immemorial Combes' London stout has been celebrated for its superlative excellence. For a verification of this statement, if any be necessary, ask the first London cabman you come across for his opinion on the subject - cabbies are popularly supposed to consume more stout than any one else - and it is a million to nothing on his naming the winner, viz., Combe, Delafield, & Co., in once. James married Matilda Bilson on 5th February 1846 at Ickworth, her home village. 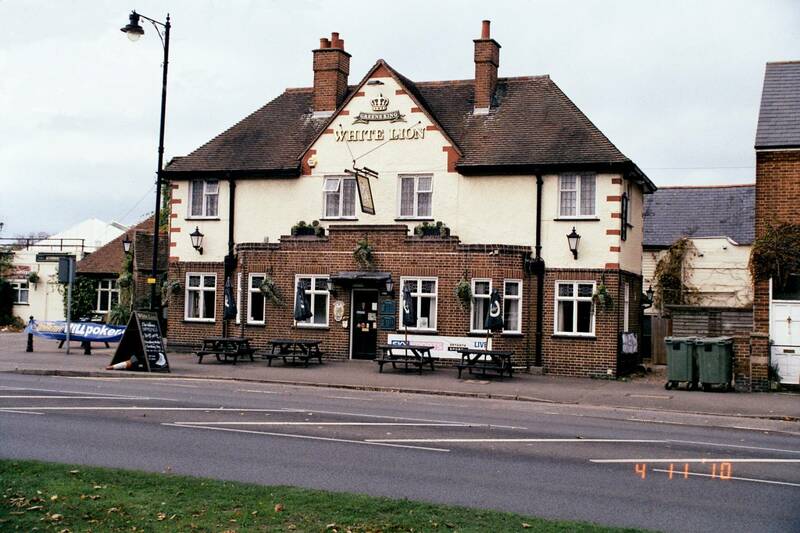 James died on 16th April 1887 leaving his estate to Matilda, who continued to run the pub until the early 1890s, after which her son Thomas (who had been the manager there in 1891) took over as landlord. Sadly Thomas died on 14th August 1896 at the age of 43, leaving his estate to his wife Charlotte. Frank Cruxton was born in Dudley (originally in Staffordshire) in 1868. Previously in 1891 he'd been living in Kidderminster, Worcestershire. In 1898 he married Thomas' widow Charlotte Ann Bartholomew in Newmarket. Charlotte had been quite a bit younger than Thomas and was born in Monks Eleigh, Suffolk in 1868. She died in Thurrock, Essex in September 1949. Frank died in Newmarket in 1915. In the 1911 census the head of the household at the White Lion Inn is shown as George Gage, and although he's listed as a Licensed Victualler, his wife Alice Maria also has the same title, and it's her name who appears in more than one Kelly's Directory as being the landlord at the inn. George was born in Lowestoft, Suffolk in 1864. Alice Maria (née Wilson) was born in Wilby, Suffolk in 1864. They were married on 30th January 1888 in Southwold. George had previously been the landlord at the Crown Hotel in Southwold, and on 13th November 1896 he was initiated as a Freemason into the Martyn Lodge at Southwold. George died in Newmarket in 1912. ADJOURNED. 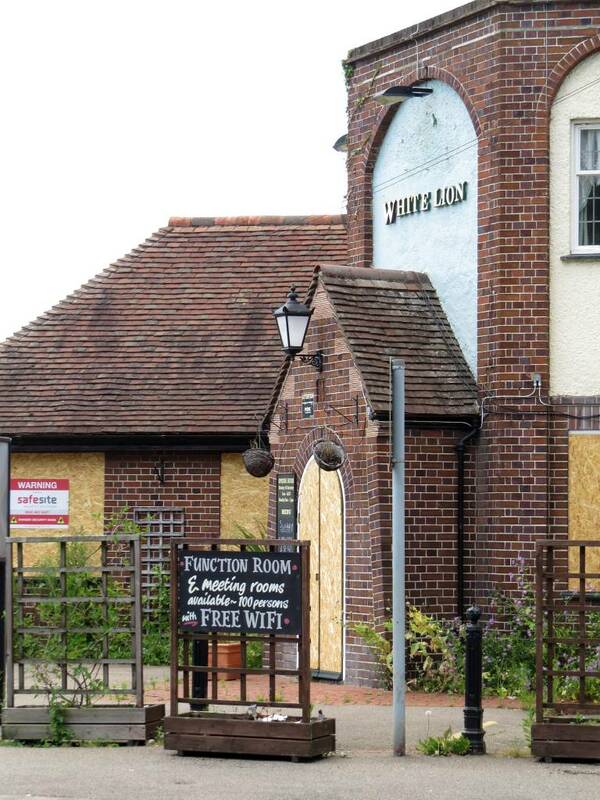 An application from Mr. H. A. Peacock, White Lion Hotel, Newmarket, for a music and dancing licence was adjourned until March 14th. The son of Fish Dealer & Hawker Thomas Henry Quarton and Louisa, Ronald 'Chiefie' Cedric Quarton was born on 5th October 1901 in Nottingham. He had a daughter Pamela and two sons: Stuart and Stephen, and it's understood that he took over as landlord at the White Lion in 1939. During the time that Ronald was landlord the pub was owned by the Wells and Winch Brewery, who also owned the next door swimming pool. In 1961 the pub and swimming pool were sold to Greene King. 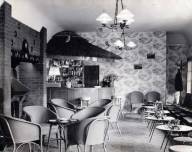 In the corner of the swimming pool was a window that opened into the dining room of the pub where they used to sell ice cream from. 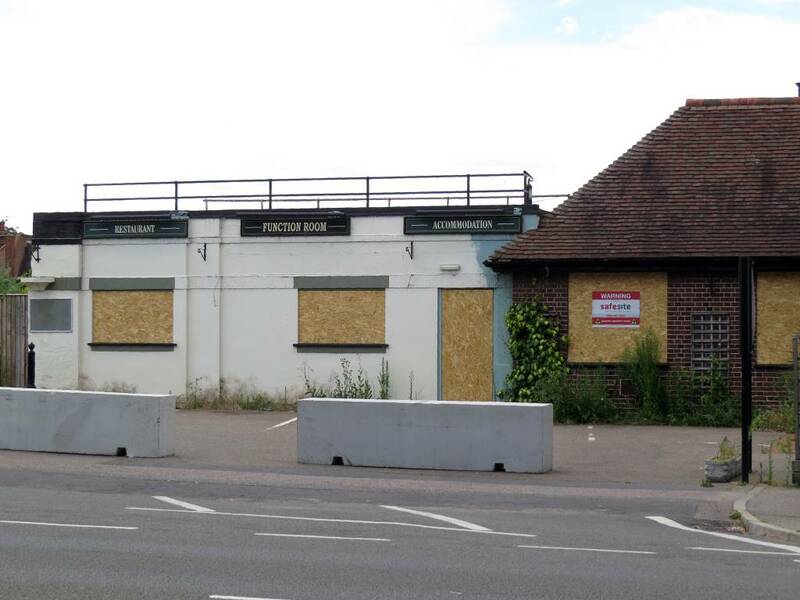 The council eventually took over ownership of the swimming pool, but with the strict understanding that the small car park in front stayed with the pub. 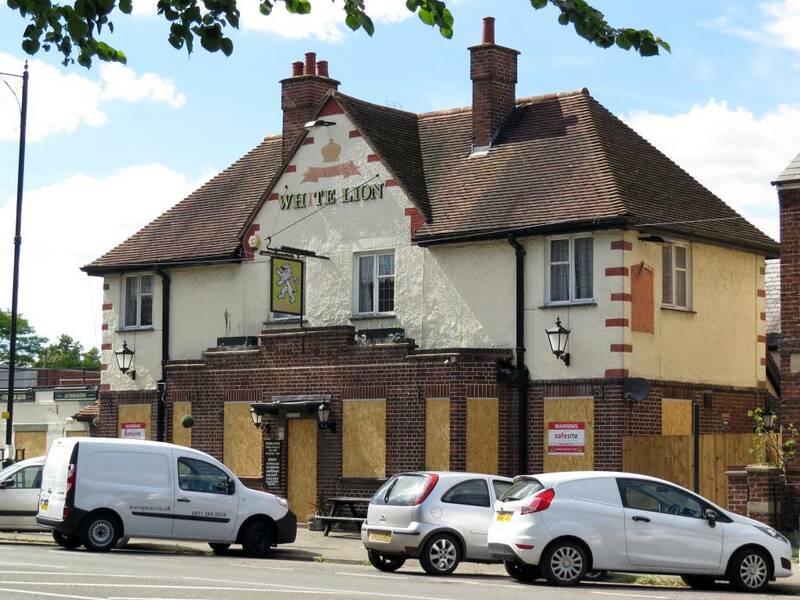 Stuart took over as landlord during the 1970s to be later followed by Stephen - it was Stephen's wife Maureen who gave Tony Pringle (a co-contributor to this web site) the photos of the pub shown below. Ronald died in September 1978. If you refer to the Building Changes section below you'll see that there are many records held at the Bury St Edmunds Records Office containing the deeds for this property. The earliest record is from 1636. This record pre-dates the English Civil War and at that time King Charles I was still visiting his palace at Newmarket. The most interesting detail shown on this document is that this pub had already existed for some time before this date and had originally been called the Duae Lyons. The style of this name shows that it is much older than 1636 and is a combination of the Latin word for Two - Duae and the Middle English name for Lions - Lyons - i.e. 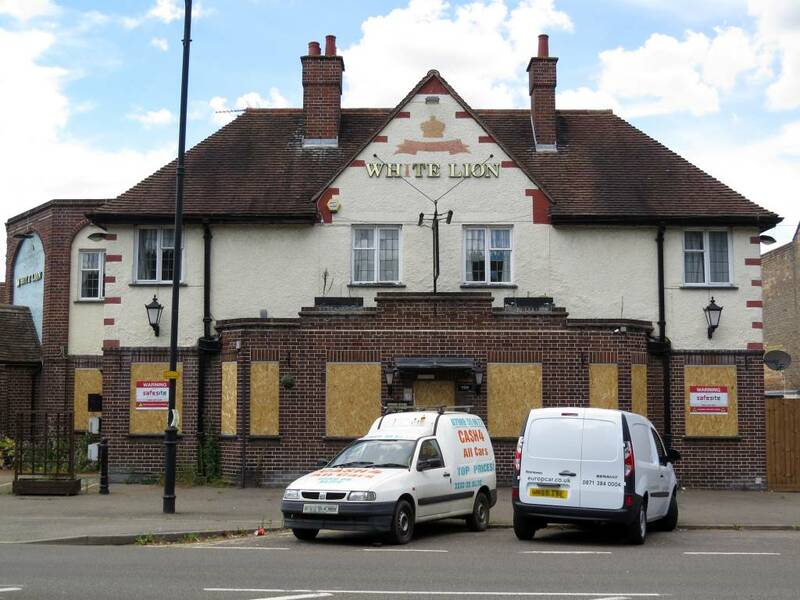 the pub was originally called the Two Lions. The common usage of Latin very much went out of fashion when King Henry VIII disassociated this country from the Catholic Church in around 1532. Middle English words also became less used after around 1500, so both these facts seem to point to this pub having existed sometime before these dates - what we have here is that this is the site of a pub that was originally a Medieval Ale House, hence is most probably one of the oldest pubs in Newmarket. In around 1663 to 1669 the White Lion was owned by Richard Bedingfield. It hasn't yet been proven if Richard descended from the peerage Bedingfield family who's family seat was at Oxburgh Hall in Norfolk. There doesn't seem to be a record of where he was born or where he got married, but there are records of three of his children being baptised at St Mary's in Newmarket - Richard Bedingfield in May 1659, Brigit Bedingfield on 7th February 1660 and Anne Bedingfield on 30th March 1663. The following is a record of his son Richard's education and his time at Gonville and Caius College in Cambridge. As Newmarket's avid historian Peter May noted in his book 'Newmarket in the reign of Charles II' - 'Richard Bedingfield was another who had his finger in many pies. He is described as 'maltster', occupying the Two Lions ...'. There were various records showing him as owning quite a few properties in the centre of the town that he leased out; so he seems to have been quite a wealthy man and clearly worked as a maltster and brewer, with the White Lion as his main residence. Matthew Richardson senior took over the Two Lyons in 1669. Following his death his widow Millicent passed on the pub to her son (another Matthew Richardson) on 3rd October 1692. This Matthew had been born in Newmarket and baptised at St Mary's in Sep 1671. By 1692 records show that the pub had changed its name to the White Lyon. If you research the Scotman family that lived for some time in and around Newmarket you'll find a multitude of details, stretching from the early 1600s all the way up to 1848, and what becomes rather obvious is that this was a very large family, with many of them called Thomas - all very confusing. In an effort to try and understand the familial relationships I've constructed a Scotman family tree from most of the available records (there are still a few additional family members found that aren't shown on this tree). and then even another, the son of William, born in 1683. Note that all these Thomases were born in Newmarket and baptised at St Mary's. To help explain this confusing situation all three have their names written in RED in the family tree shown below. So which one of these Thomases was the brewer, father of John, shown in the Caius College record below? This is where researching this family tree in quite some detail has helped in suggesting the most likely candidate. The solution came in that certain later members of the Scotman family also show up in the property details of the White Lion. So with this in mind the assumption has been made that the Thomas who was the closest relation to these other family members is most probably the brewer - Thomas No.1. In the next generation of the family there was only one Thomas Scotman (born in 1721) - Thomas No.2. Only he could have been the next person listed in the deeds of the White Lion (he's named as Thomas Scotman Senr. in the history details above) ... and it was his uncle who was the Thomas Scotman born in 1683. So based upon this, the assumption has been made that Thomas, the son of William, was Thomas No.1. Thomas Scotman No.1 died in 1715 and details of his will are shown in the history records at the top of this page. As detailed above, Thomas No.1's son John became a member of the clergy ... as did the last member of the Scotman family to have lived here - the Rev. Thomas Scotman, born in 1754 - Thomas No.3 ... he was the son of Thomas No.2. The four family members outlined in RED on the family tree are Thomases No.1, 2 & 3 and the Rev. John Scotman - so these are the known key occupiers of the White Lion. There was also a Mrs. Mary Scotman and the most likely candidate for this was the second wife of Thomas No.2 - the mother of Thomas No.3. The above record actually shows only part of this Thomas' career; as during his very long life he was also the priest at many other locations around the country. In 1783 he was the vicar at Fisherton de la Mere, Wiltshire. Then in 1784 he was the domestic chaplain to Henry Frederick, Baron Carteret of Hawnes, Bedfordshire. In 1788, when he married Elizabeth Hand at St Mary in Islington, he still held these same roles, but in addition he was also the curate at Risby near Bury St Edmunds, where he's listed until at least 1801. In 1806 he was the curate of Stanton All Saints and Stanton St John the Baptist. Then in 1813 he was the curate of Great Barton, before he finally settled at Rougham in 1825, where he's shown in Pigot's Directory of 1839. Interestingly he's also shown in the Poll Books at Soham in 1780, 1831, 1832 & 1835. A few days since was married at Islington, the Rev. Thomas Scotman, A.M. Chaplain to Lord Carteret, and Vicar of Fisherton Delamere, in this county, to Miss Hand, youngest daughter of the late Rev. Christopher Hand, Rector of Aller, in Somerset. Well it seems that in addition to the White Lion many of them owned large plots of land all around the area. One key plot, shown in the deeds for the White Lion, relates to an additional acre and a half of land, first shown in the White Lion's deeds of 26th September 1699. Later details show that this piece of land was No.146-148 High Street, which was subsequently leased to Viscount Lowther, where he built Lowther House .... which is now the site of the former Doric Cinema. SALE, BY PUBLIC AUCTION, At the Crown Inn, Soham, on Friday the 19th day of May, 1848, o'clock in the afternoon, Divers Pieces of Excellent MEADOW and ARABLE LAND, most desirably situate in the best part of Soham, in the county of Cambridge; and one piece of LAND in the adjoining parish of Fordham, containing together upwards of 87 Acres, late the property of the Rev. Thomas Scotman, deceased ; with possession next Michaelmas. Full particulars in future papers. For further particulars apply Messrs. Wayman, Greene, and Smythies, Solicitors; to Auctioneers, Bury St. Edmund's. 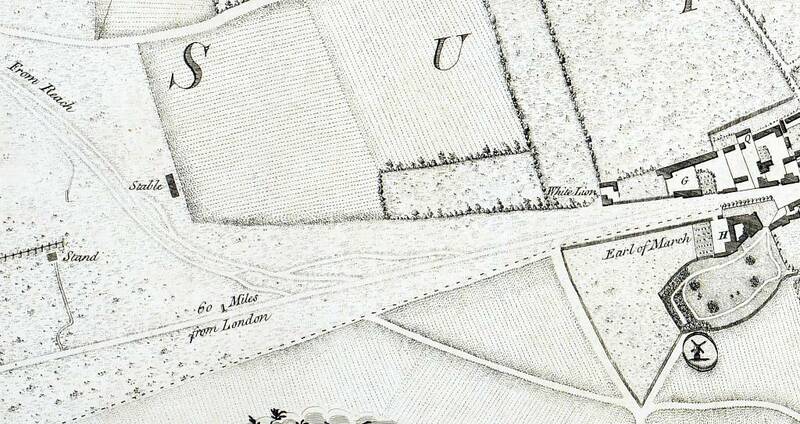 87 acres is a considerable piece of land, which must have in some way been associated with Thomas' time at Soham. In conclusion it becomes very clear from all these details that the Scotmans became quite a wealthy family, with some significant influence both in and around Newmarket. And of course let's not forget the reason for this long discourse about their family, in that from at least 1699 until 1848 they all owned the White Lion. In heraldry, the Royal Supporters of England are creatures appearing on each side of the Royal Arms of England. 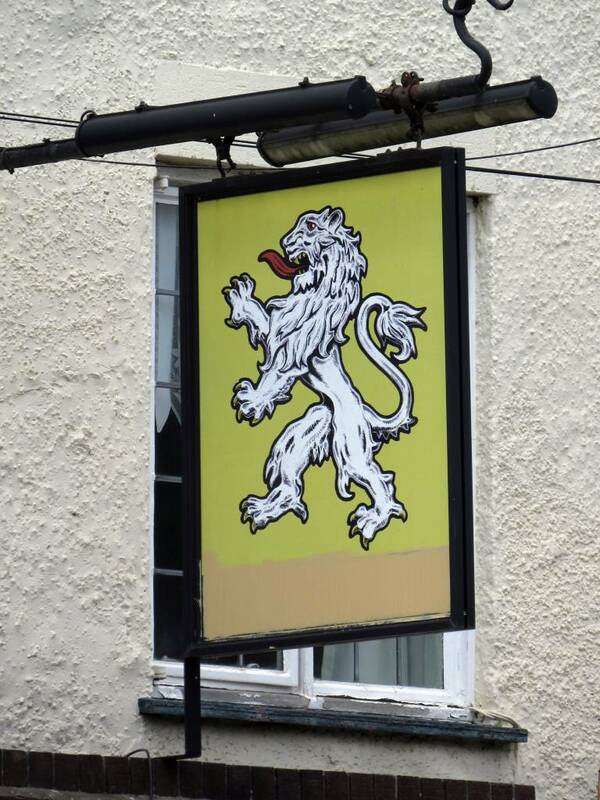 These have included a bull sable (Black Bull), a lion or (Golden Lion), a White Hart and then also Two Lions and a White Lion - it's clear from this that many of Newmarket's pubs, including this one are named after heraldic figures. 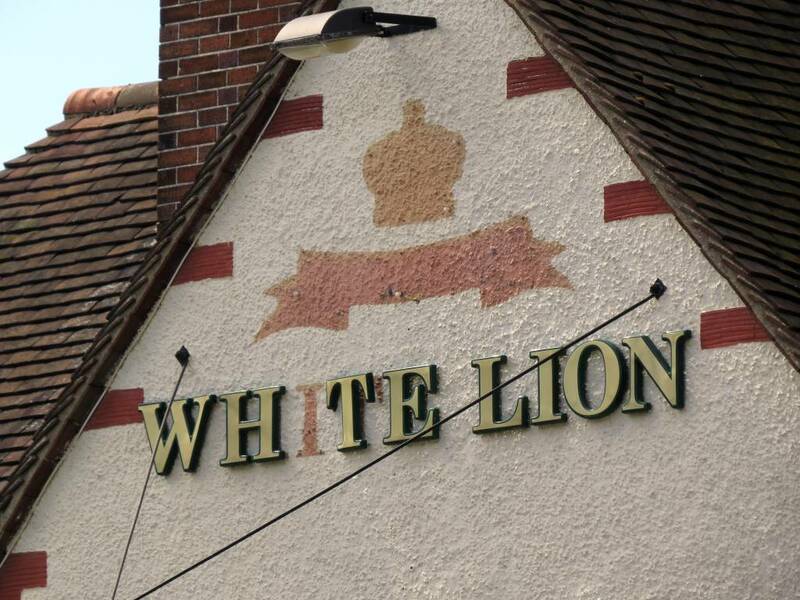 As can be seen on the map above the White Lion is very isolated - it's the first building that you would have passed by coming from the west on your way into Newmarket. And in 1636 when it was first built it would have been almost completely on its own and most probably not actually in the town of Newmarket itself at that time (which would have started further down the High Street, from about where Black Bear Lane is now). From this it would seem that its location has a distinct vantage point; as it would have been the first hostelry visited alongside the Icknield Way coming into Newmarket (the main road at that time) and its close proximity to the race course would have made it an important venue in the town, possibly even with Royal visitation. The first recorded race at Newmarket took place on 18th March 1622 during King James I's reign and the first ever race to be run under written rules was in 1666, instigated by King Charles II (Newmarket is celebrating 350 years of formal racing in 2016). So the presence of the Two Lions here at this time puts it right at the beginning of the town's equestrian heritage - a very important venue. The building that stands here now is not the same as the original and has most probably been rebuilt more than once. The images below show how the pub looked in 1820 (Thomas Scotman No.3 owned it at that time). The first is a painting and the second an engraving based upon this. Many thanks to Peter Norman for these two images. The October 1916 photo shown below is of this same building (with a few alterations), so the building that stands here today which is quite different must have been built sometime between 1916 and the early 1930s. These photos were given to Tony by Maureen Quarton, wife of one of the White Lion's previous landlords; Stephen. Sadly Maureen passed away on 7th April 2014. Note: The above compilation of historical details for this property are the result of original research by the webmaster, with citations given as to originations of any source material where possible. Copying of any details on this page must therefore both reference this web site and also any original author(s) as to the source of this material.